Let’s just start this gift guide off right by saying..If you have an active kid who NEEDS to move/climb, winter is your nightmare. I am aware many of your locations mean that around Christmas time a bike is good in theory but know one gets to ride it until spring. So for the following gift idea…your welcome. Be the coolest house on the block with your own rock climbing wall INDOORS. There are so many tutorials to create a rock wall inside. Like this one HERE or this tutorial HERE. This was hands down the best investment we ever made as far as outside things for our kids go. 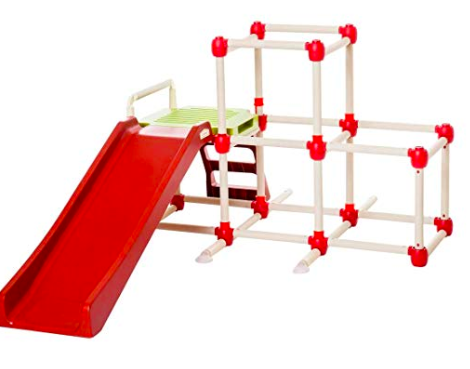 We bought this exact one in the earthtone colors and our kids climb all over it. Throwing a ball and knocking things down? Sounds like a kids dream. And it’s for outdoors (you could definitely use it inside if you’re brave), so rest assure mama you can be worry free about the fragiles in your home for once. Your child’s bad aim and the neighbors house…maybe no so much. lol But still totally worth it in my opinion! If you’re lucky enough to have two large trees in your yard to attach these to, this would make for awesome backyard entertainment. For a little active body, this would be a great place to have them wiggle, read, twirl and get calm. Can’t go outside, bring the playground indoors! You can easily google how to install your swing indoors and many outdoor swings can be used inside as well. But this one I feel is more visually appealing for inside. Move over macaulay culkin. There’s a new way to slide down those stairs. These things are the coolest! They can be folded and used in SO MANY ways for play and sitting. Make sure you check out their instagram for ideas! That’s all folks and may the force be with you this winter! 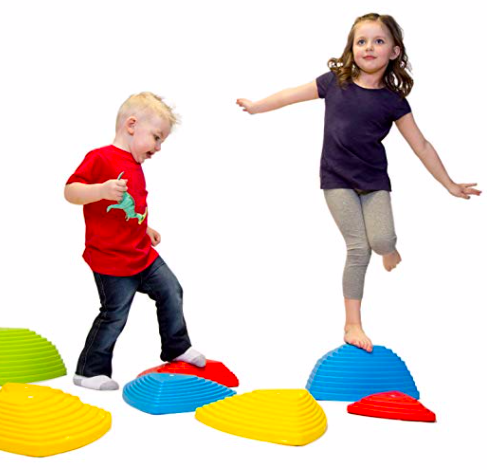 Hopefully these gift ideas for your little active kid or to promote more movement in and out of your home were helpful for this Christmas.